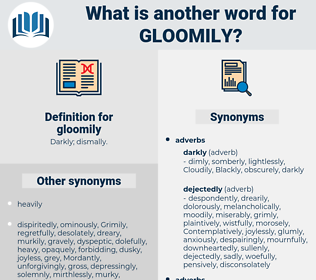 What is another word for gloomily?
" Let that question rest," he said gloomily.
" Oh, of course, Lady Holmhurst will say no," said Eustace, gloomily.